Intermediate relays are crucial in the proper function and operation of several varieties of power equipment, be it in mobile refrigeration or a simple pump application. But what are intermediate relays, and how are they implemented? Intermediate relays provide a low power control circuit to energize a higher power process or load in a circuit. One example is a lighting circuit in an automobile. 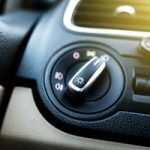 On modern vehicles, the light switch integrated into the turn signal stalk or dashboard doesn’t directly activate the headlight circuit. 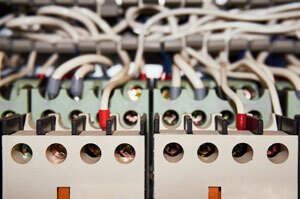 Most modern vehicles use a lighting control module (LCM) or some other type of electrical power distribution module. This module reacts to inputs provided by various switches, sensors, and lighting circuits in the vehicle and provides the appropriate output, which is pre-programmed into the module. In this example, when the headlight switch is turned to the “on” position, the LCM receives this action as an input to change the headlights, parking lights, and tail lights to “on”. To accomplish this task, the LCM activates an output circuit that controls each of these lighting circuits by energizing relays. This small switch on the turn signal stalk or dashboard cannot handle the power needed to initiate all three circuits; nor can one switch handle the logic to command specific circuits “on” and others “not on”. This is why the LCM energizes relays from its output signal. 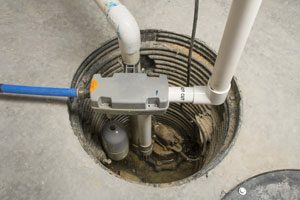 Intermediate relays are also used in higher power applications, such as when using a sump pump to remove water from a basement. In this hypothetical situation, a leak detection switch will activate a large industrial pump to remove water from a below surface motor control center (MCC). The leak detection switch can handle neither the current nor the voltage required to power the pump. In this case, the contact closure provided by the leak detection switch is used to energize a 24VAC control relay. The contacts on this relay are provided to a 120VAC line that then energizes a contactor to start the pump motor. In this application, a relay is used to convert from a 24VAC control signal up to a 120VAC power line for a contactor. This contactor then provides a 480VAC three phase source for the pump motor. Intermediate relays are offered in several varieties depending on the process power requirements. In addition to electromechanical relays, other types of relays include solid state relays which can be used for fast or continuous switching for heating control on electric heating elements. The pulse signal allows the heating element to regulate temperature.